Good afternoon!!! It is finally September and while I am sad to see Summer go, I am welcoming Fall with open arms! To say goodbye to Summer I thought I would share a fun neon manicure that is super easy to do! 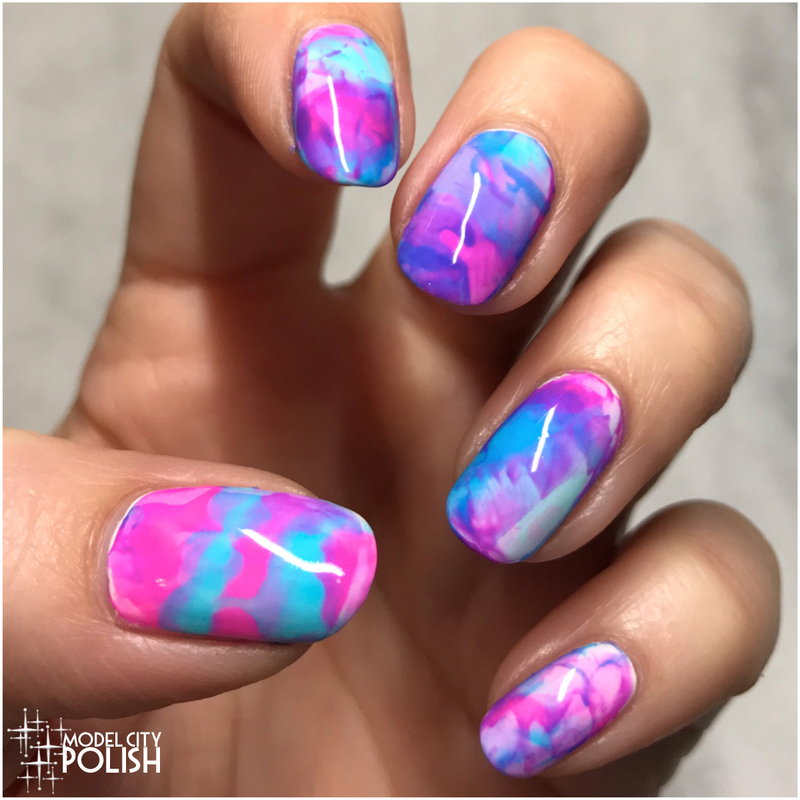 I have been wanting to try out stamping marble and blown away by how easy it is to create this look. All you have to do is make a few random drops of color on to saran wrap or a silicone mat and then squish them together with a rubber stamper. I picked a few shades from the new Atomix Collection from Cuccio Colour to create the perfect goodbye summer mani! 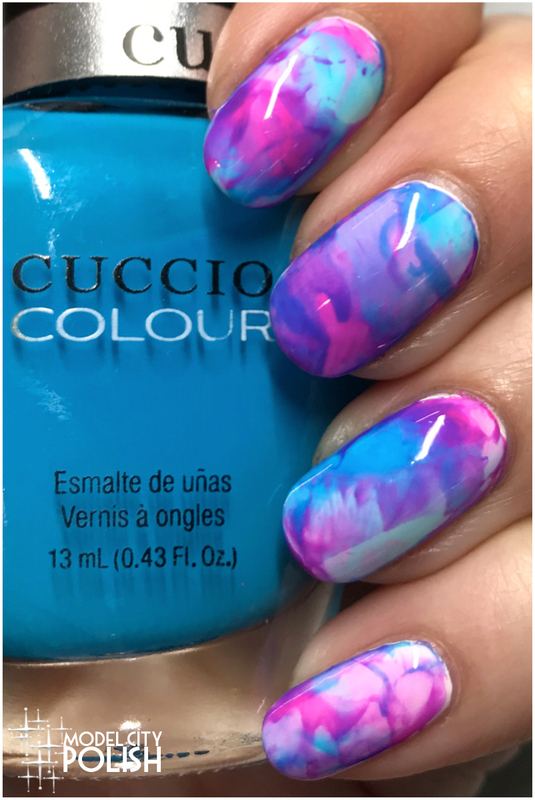 For my stamping marble look I used She Rocks, Live Your Dream, and Agent of Change all from Cuccio Colour over a white base. The colors meshed together beautifully and gave the jelly marble finish I was going for. In my photos I am using two coats of Liquid Macro Top Coat from SuperChic Lacquer. So what do you guys think of my first attempt at stamping marble? I am so in love with this look and see using this technique a lot more in the future! Super easy and really makes a statement! 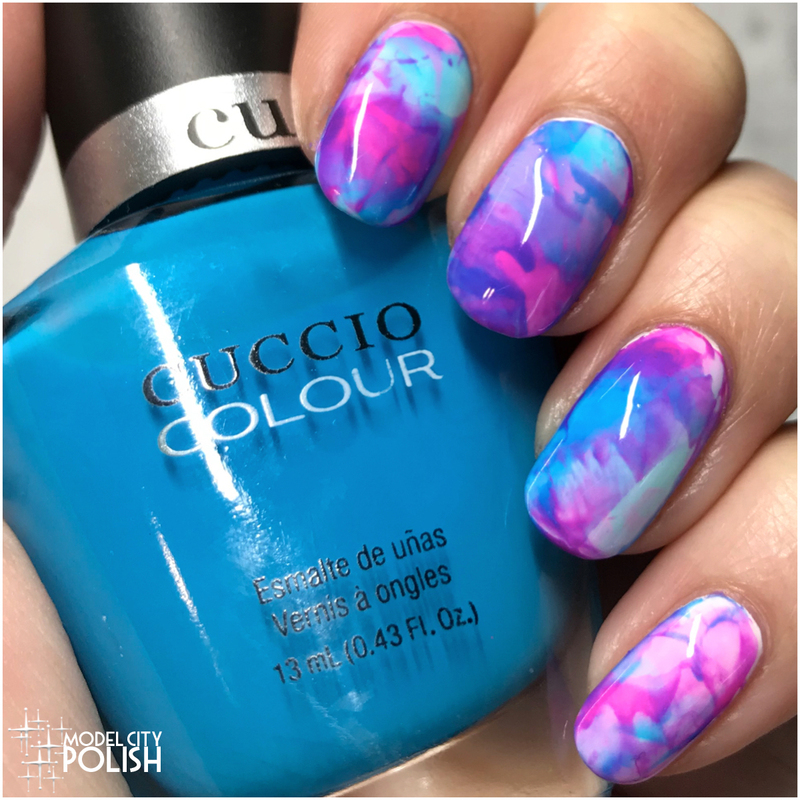 Be sure to also check out the new Atomix Collection from Cuccio Colour, while they are neons you can rock them anytime of year! Thank you so much for stopping by today and I will see you all again soon! How beautiful these shades look together. It’s interesting that it’s stamping in a totally different way. Oh wow this is so beautiful! I need to pull mine out since it’s still like 100 degrees here! This pops out with that white undie! Love this so much! Nina! I want to come over and have you show me!!! You make it sound easy. It’s beautiful!!! I saw your pic on IG and saved it to my mani inspo folder. Absolutely gorgeous. I’m pinning it as well. This is such a fun technique, and these colours play together so well like this! I love it! This reminds me so much of 80s, very fun indeed! That is a really gorgeous marble! I love it!!! I feel like the colors are more bold than traditional marbling! This is amazing and those colors are so perfect! I’d say that turned out pretty dang good! Love the colors.